Researchers considered relapse, global state change, mental state change, adverse events, social functioning, quality of life, and satisfaction with treatment to determine outcomes. According to review results published in the Cochrane Database of Systematic Reviews, the positive effect of cognitive behavioral therapy (CBT) as an add-on treatment for patients with schizophrenia is unclear or modest compared with other psychological interventions. The investigators of this study sought to evaluate the effectiveness of CBT as an adjunct treatment for people with schizophrenia vs other psychosocial therapies by reviewing clinical trials on CBT for treating schizophrenia. The investigators systematically searched relevant databases (including AMED, BIOSIS, CINAHL, Embase, MEDLINE, PsycINFO, and PubMed) for 36 randomized controlled trials and extracted data on a total of 3542 individuals with schizophrenia who received either CBT or other psychosocial therapies in addition to standard care. Study outcomes were measured in the short term (within 24 weeks of beginning therapy), medium term (24 to 52 weeks), and long term (over 52 weeks); outcomes included relapse, global state change, mental state change, adverse events, social functioning, quality of life (QoL), and satisfaction with treatment. The investigators found the quality of evidence from the trials to be low to very low. Overall, CBT vs other psychosocial therapies as add-on treatments showed no clear differences in QoL outcomes, relapse or rehospitalization rates, mental state and social functioning outcomes, or mortality. Some trial results reported improvements in mental state for CBT over other psychotherapies, mostly in short-term comparisons; however, no significant advantage was observed for using CBT over other interventions. Discontinuation rates — as an indirect measure of satisfaction with treatment — were slightly higher among other psychosocial therapy groups vs participants receiving CBT, but this effect was considered moderate. Limitations to this systematic review included too few trials and small studies; in addition, outcomes for CBT are difficult to measure quantitatively or use scales not directly relevant to psychological interventions. 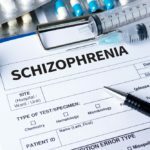 The investigators indicated that although some studies associated a reduction in psychosis symptoms with the use of CBT in individuals with schizophrenia, the effect was modest or similar when compared with other types of psychological therapies. Future studies should include primary outcomes that relate to the intervention goals, which are to improve social functioning and QoL, and should test adherence to CBT methods as well as report economic outcomes.